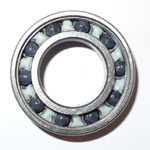 - For full ceramic bearings, please contact us for stock availability. Copyright (C) 2008 HSC CERAMICS. All Rights Reserved.